Qualification of equipment is a basic GMP requirement. This also applies to laboratory equipment. Remember: Qualification begins as soon as a decision has been made to purchase an instrument – and not when a particular instrument has been chosen, procured or even installed! In contrast to the validation of analytical methods there are no specific directives or methods that apply to the qualification of analytical instruments. This means that a number of different approaches can be taken. But which one should you take? 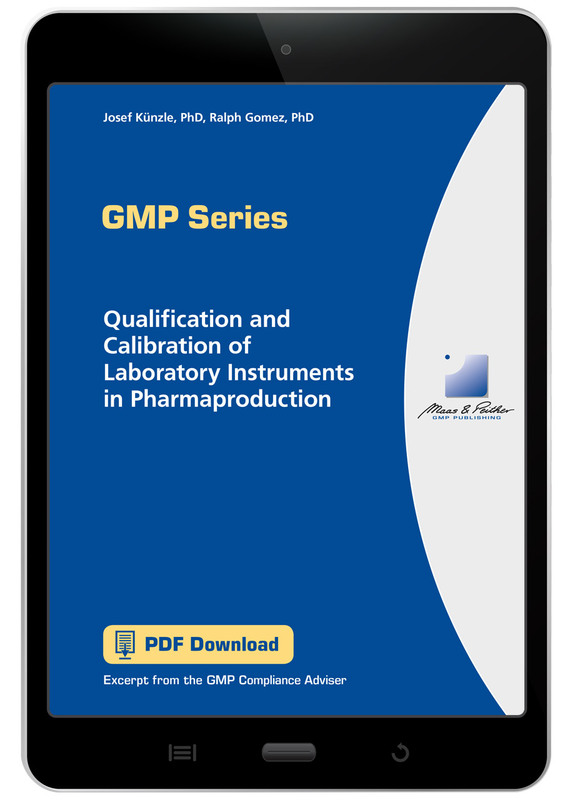 The pdf download Qualification and Calibration of Laboratory Instruments in Pharmaproduction leads you safely through all steps of qualification and calibration. What instruments have to be qualified? How is the qualification carried out? What qualification documentation has to be created? What scope of qualification is both useful and necessary? How is instrument software validated? What has to be done when the configuration of an instrument is changed? Which instruments have to be calibrated? How and how often is calibration carried out? What needs to be done if calibration is not successful? What level of maintenance is required for laboratory instruments? A form for a requalification report, samples qualification plan and qualification report and a sample calibration SOP are included as bonus materials. Order your copy of Qualification and Calibration of Laboratory Instruments in Pharmaproduction and master all phases of qualification and calibration!